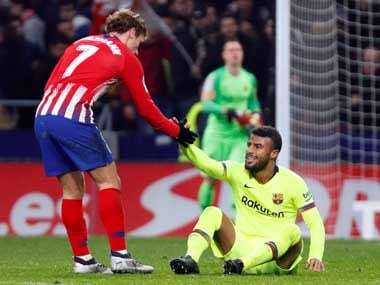 Barcelona: Rafinha is likely to miss the rest of the season after Barcelona said they expect the midfielder to be out for six months on Tuesday following an operation for an anterior cruciate ligament injury. Rafinha hurt the ligament in his left knee during the Spanish champions' 1-1 draw with Atletico Madrid on 24 November. "Rafinha has had the ligaments of his left knee successfully operated on," a Barcelona statement read. "He will be out of action for approximately six months," added the statement. Rafinha has not been a regular in the Catalans' starting line-up this term having only featured on eight occasions for the La Liga leaders. 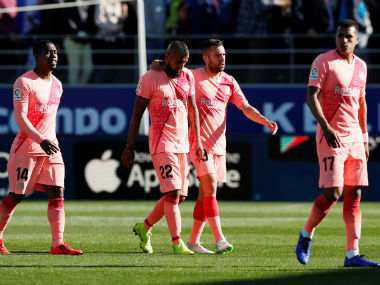 The Brazilian enjoyed a run in the side last month while Lionel Messi was injured. 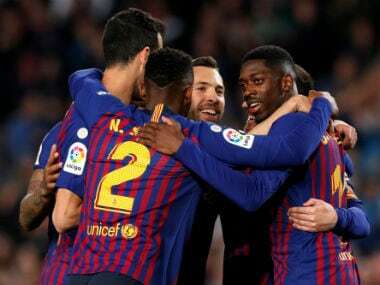 He started against both Real Madrid and Rayo Vallecano in the league, as well as at home against Inter Milan in the Champions League, when he scored the opening goal in a 2-0 win.